The official purpose of a recent FDA-sponsored workshop was "to provide a forum for FDA, medical device manufacturers, additive manufacturing companies and academia to discuss technical challenges and solutions of 3-D printing." 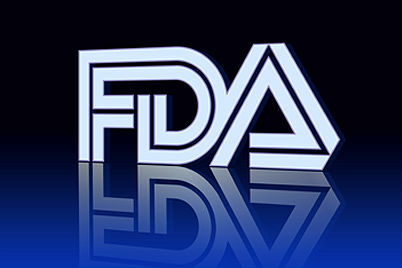 The FDA wants "input to help it determine technical assessments that should be considered for additively manufactured devices to provide a transparent evaluation process for future submissions." Dr. Thomas Boland from the University of Texas at El Paso shared his team's work on 3-D-printed tissues. Using inkjet technology, the researchers are evaluating the variables involved in successfully printing skin. Another bio-printing project being undertaken at Wake Forest by Dr. James Yoo involves constructing bladder-shaped prints using bladder cell biopsies and scaffolding. Dr. Peter Liacouras at Walter Reed discussed his institution's practice of using 3-D printing to create surgical guides and custom implants. In another biomedical project, work done at Children's National Hospital by Drs. Axel Krieger and Laura Olivieri involves the physicians using printed cardiac models to "inform clinical decisions," i.e. evaluate conditions, plan surgeries and reduce operating time. Comparing practices to the highly regulated food industry, one can understand and accept the need to adopt similar measures for some additively manufactured medical devices. An implant is going into someone's body, so the manufacturer needs to evaluate and assure the quality of raw materials, processing procedures and finished product. Another distinction should be the product's risk level. Devices should continue to be classified as I, II or III and that classification, not the process used, should determine its level of regulation.